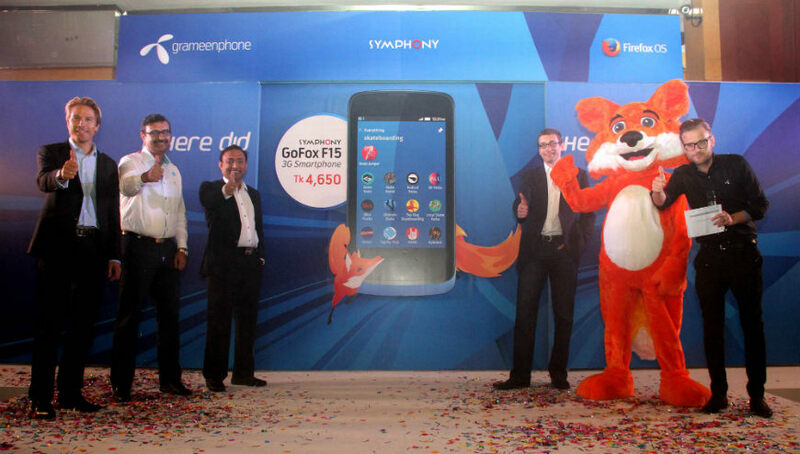 In an event held yesterday in Dhaka, Grameenphone along with Symphony unveiled the GoFox F15, a very budget friendly smartphone which runs on the much acclaimed but relatively new Firefox OS. People here in Bangladesh would also have the ability to run the device in the Bengali language which reduces the barriers to entry significantly and opens doors to a potentially massive crowd. The aim of this joint venture is to introduce more and more people to the internet and carry them over to the smartphone era as millions of people in developing countries are yet to embrace smartphones. Mozilla has been making a strong push into this particular market and now has begun operations in 23 other markets in Asia, Latin America and Europe. The companies also hope to use this platform to drive the developer community here and inspire them to make applications for the respective platform. According to the specifications listed on Symphony’s website, the 3G enabled GoFox F15 packs a 3.5 inch TFT HVGA display with a resolution of 480 x 320 pixels. 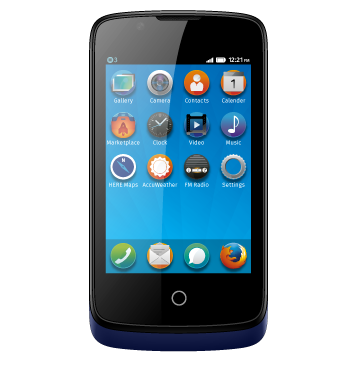 Armed with 1GHz single core processor and 512MB RAM, the handset runs Firefox OS 1.4. Inside the smartphone hosts 512MB ROM and a 1450mAh Li-ion battery. The camera combination is nothing extra special, with a 3.2 megapixel main camera and a 0.3 megapixel front camera.The main selling point of the device is not its specification, rather its price. At Tk/- 4,650 ($60.2) the smartphone is extremely affordable. Another vital incentive to opt for the particular handset is because of the freebies and perks that come with the package such as daily 20Mb free internet. Mozilla coming into the local market with its FireFox OS is a good indicator that competition in the smartphone arena will be fierce in the coming months, especially because Android One is just over the horizon now. The smartphone market in Bangladesh is slowly becoming familiar to Android and its offerings so it will be interesting to see how Mozilla’s OS will be received by the public. The added language flexibility already gives FireFox OS an upper hand. One thing is for sure, consumers will benefit from this. Pre-booking for the GoFox F15 begins September 17th, the handset will be available from from September 28th, 2014.